El Raval in Barcelona is one of the city’s most up-and-coming neighborhoods and a top spot for the latest trends, the hippest art and some of the best nightlife in the Catalan capital! The best way to describe this Barcelona ‘barrio’ may very well be as the ‘melting pot’ of Gaudí’s city with everything from skaters showing off their tricks to endless bars offering unforgettable nights out. Packed to bursting with sights that should not be missed, El Raval is one town that’s well worth checking out on your trip to Barcelona. This charming neighborhood is one of the most historic in Barcelona, and it was once hemmed in by city walls until they were demolished in 1859 due to the rapid rate at which the city was expanding. Rich in history, culture and a dash of modern art, El Raval in Barcelona truly has something for everyone! 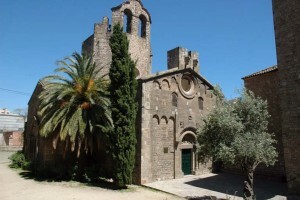 Església de Sant Pau del Camp: The oldest standing church in Barcelona is a true homage to Romanesque architecture and is one which has certainly stood the test of time as it was ransacked twice in the 10th and 11th centuries, and once more at the beginning of the 20th century during the Catalan capital’s revolutionary riots. Don’t miss a visit to the Visigoth temple (a monastery founded in the 9th century), the chapel and the cloister for a memorable religious experience. 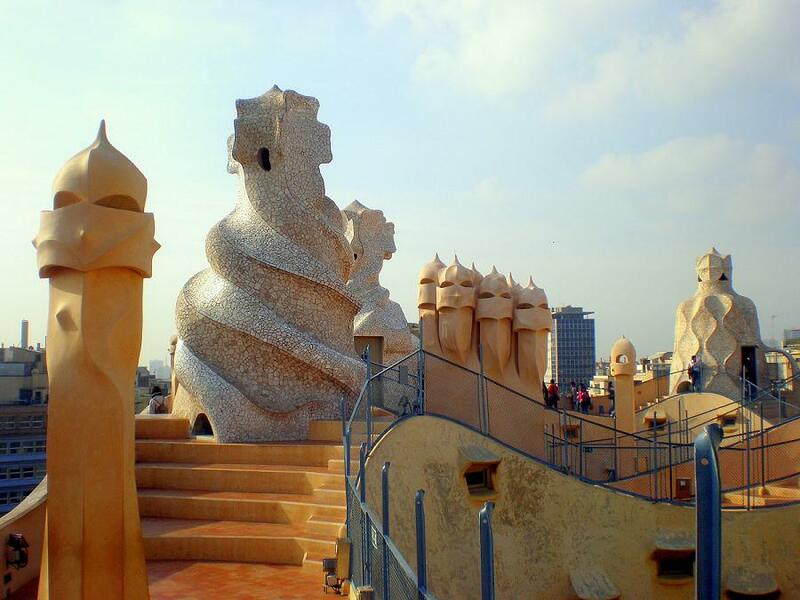 Palau Güell: This UNESCO World Heritage Site is not one of Gaudí’s more famous buildings in Barcelona. Palau Güell was completed in 1890 and offers an up-close look at some of his most intricate and colorful designs. Don’t miss your opportunity to see the famous chimneys of all shapes and sizes on the roof of this beautiful building. 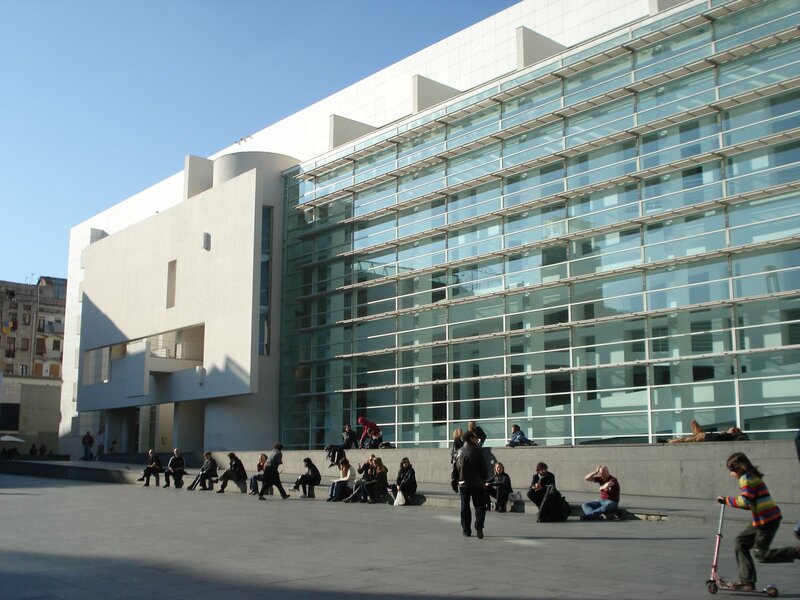 MACBA and CCCB Museums: If you wish to marvel at some of the best contemporary art in Barcelona, the MACBA (Contemporary Art Museum of Barcelona) is a must! Featuring exhibits for everyone from the art buff to those who just like to browse, this cool building in the center of el Raval in Barcelona is great for those looking for a touch of culture. And for a more audiovisual twist, the CCCB (Center for Contemporary Culture in Barcelona) is worth a visit, too. 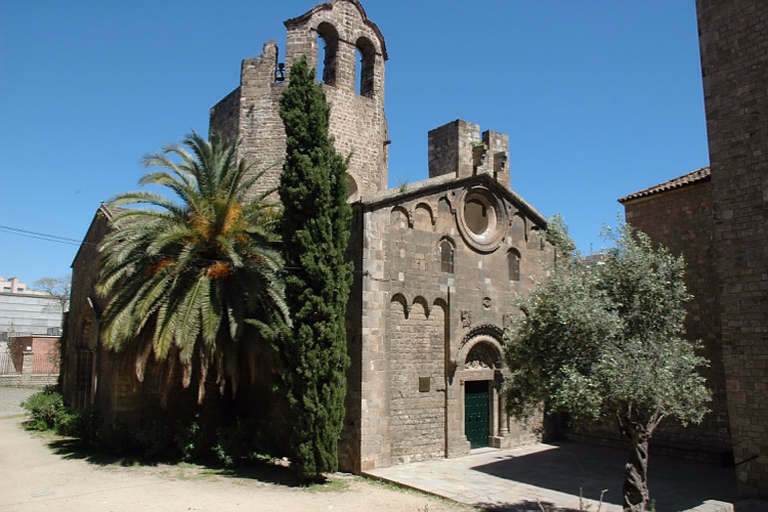 Antic Hospital de la Santa Creu: A fine example of Catalan-Gothic architecture, construction on this hospital started in 1401 with the aim of connecting Barcelona’s six main hospitals on one site. Be sure to check out the courtyards and high-ceilinged rooms which currently house the library of Catalonia, art schools and cultural organizations. El Raval in Barcelona is considered to be one of the most ‘trendsetting neighborhoods’ in the Catalan capital and is home to some of the best shopping spots in the city. 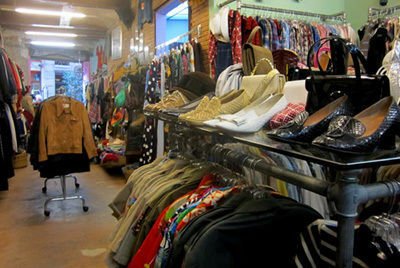 Chic boutiques, vintage stores and everything in between means that everyone from the hip fashionista to the cool bohemian will find the perfect item here. Accessorize: Searching for the best in vintage clothing? Look no further than Lailo or HoLaLa Plaza where you are sure to stumble across some retro and antique bits and pieces for your collection! How to get there: Lailo is located at C/de la Reira Baixa, 20. Metro station: Liceu (L3) and Holala is situated at Plaza Castilla, 2, near the Universitat Metro station (L1). Souvenirs: For some unique and artistic Barcelona memorabilia, head to Ras Bookshop and Gallery in el Raval. The Boqueria Market: One of the city’s most famous attractions is the colorful Boqueria Market on Las Ramblas. Here you will find the freshest fruits and veggies, fish and meat, as well as endless tapas bars where tasty treats await! 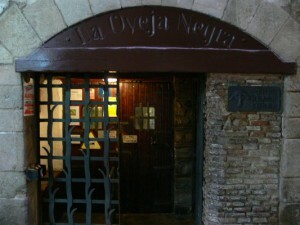 El Mesón David: For the best in traditional Galician cuisine, be sure to head to El Mesón David! The Pulpo Gallego (Galician octopus) and the Parnillada de Pescado (mixed grilled fish) are some of the top picks! Biocenter: For the best organic bites in town, look no further than Biocenter in el Raval. The tofu curry and raw lasagne should not be missed! Marmalade: For a dash of 50’s Havana vibe, be sure to check out Marmalade in el Raval, where hand carved black matter billiard tables await! Add to that cool and classy cocktails, including ‘Bling Bling’ and ‘Champagne Charlie’ and you’ve got yourself one unforgettable evening lined up! L’Ovella Negra: A favorite dive with locals and students alike is L’Ovella Negra, translated as ‘The Black Sheep’, where you can kick back in a relaxed atmosphere with sweet Sangria and salty snacks! Moog: For those looking to dance the night away, Moog in el Raval is a top pick! With the latest techno, house and pop tunes, jiving the night away amidst Barceona’s hip crowd will be an easy feat! By choosing to rent one of the many Barcelona apartments in el Raval, Barcelona, you are sure to experience all the treasures of this bustling Barcelona ‘barrio’. With easy access to some of the top sights, the best shopping stores just around the corner and an electrifying nightlife to boot, you can’t go wrong! There are plenty of fully-equipped apartments in el Raval, many with balconies, allowing you to enjoy looking out over this lovely Barcelona neighborhood as you soak up the Mediterranean sunshine! This entry was posted in Bars & Nightlife, Home, Places, Restaurants & Food, Shopping and tagged areas in barcelona, barcelona architecture, barcelona attractions, Barcelona culture, barcelona districts, Barcelona food, barcelona food and drink, barcelona neighborhoods, barcelona nightlife, barcelona restaurants, Barcelona shopping, barcelona tourist guide, el raval barcelona, museums in Barcelona, Restaurants in Barcelona, things to do in barcelona, things to do in el raval, tourism in barcelona, visiting barcelona. Bookmark the permalink.